Authorized Sales & Service Station for Exide, Sanyo and Tadiran (Sonnenschein) products. Parts on request. 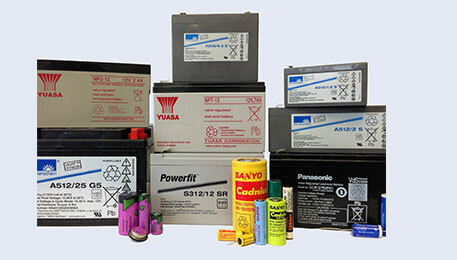 Maintenance Free Batteries dryfit-Technology, Gel-Technology, VRLA. Lithium, Nickel Cadmium and Nickel Metal Hydride Batteries. Lithium/Thionylchlorid (LTC), PulsePlus™ and Hybrid Layer Capacitors (HLC) Batteries.